Home Blog When does the notice start from? When does the notice start from? An NHS worker sent a redundancy notice when she was on holiday abroad has won her case at the Supreme Court. The High Court and Appeal Court had upheld Sandi Haywood’s claim that notice began when she read the letter, not when it was sent. The later timing resulted in a higher pension. Mrs Haywood, from Gateshead, worked for Newcastle and North Tyneside Primary Care Trusts for more than 30 years. There was no express term in the contract under which she was employed as to how written notice was to be given and in terms of when it ran. The Trust issued a written notice of dismissal by recorded delivery. Mrs Haywood was away when the letter was sent on 20 April 2011. Her father in law collected the letter from the post office on 26 April 2011 and Mrs Haywood read it on her return home on 27 April 2011. Mrs Haywood had a 12-week notice period, and if the written notice of dismissal was taken to run from 27 April 2011, she would have lost out on a higher pension pay-out. The Supreme Court ruled on 25th April 2018 that a written notice of termination posted to a home address starts to run when the employee has either read it or had a reasonable opportunity to do so. The ruling means that in the absence of an express clause in a contract outlining when notice is deemed to be given and take effect, it will be implied that notice will take effect from when it has been received and read by the employee, having first had a reasonable opportunity to do so. Are you confident that your contracts of employment are up to the mark? 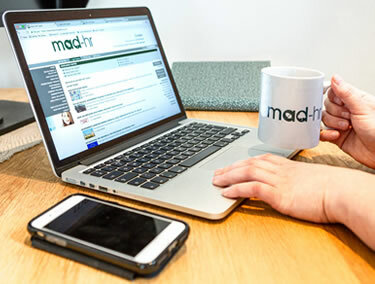 If you would like to know more about how MAD-HR can support you, and Make A Difference to your organisation and how your line managers operate, we would love to have a chat. You can either arrange a free arrange a free one-hour consultation or call us for a chat about how we can support you on 01473 360160.